Quite some time ago I was fortunate enough to interview two of the lovely actresses who starred in the following 23 minute promo made in 2014. It was Directed by: Riyaana Hartley and Vincent Tran; and Starred: Constance Brenneman, Lindsay Heath, with Angelica Bridges and Devon Coull. Why thank you for helping me fend off those goons in the parking lot, lady! I mean, I could have really used your help a couple of months back when one of them shot down my brother James (Devon Coull). Particularly when they abducted his body afterwards back at the hospital! Oh! Wait a minute! I'm getting slightly ahead of myself here, aren't I? Well, first off. Please allow me to cordially introduce myself. 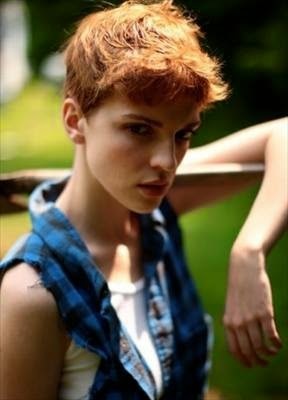 My name is Barbra Gordon (Lindsay Heath) and my father is a cop. And like most cops living in Gotham City my Dad has a string of enemies over a mile long. Now one of his enemy's are attached to the known mob boss, Carmine Falcone, and they've been doing everything in their power to get to my Dad through his family. So, as you can expect, lady, things haven't been going too great for me lately. And to a certain extent I can say exactly the same thing for you too Ms... Ms... err? Excuse me? But what did you say your name was again? Then again, that's most probably why what next transpires all goes to the funny-farm when you say to me, 'I forgot to mention who I was, didn't I, Barbra? My name is Harleen (Constance Brenneman). Harleen Quinzel. 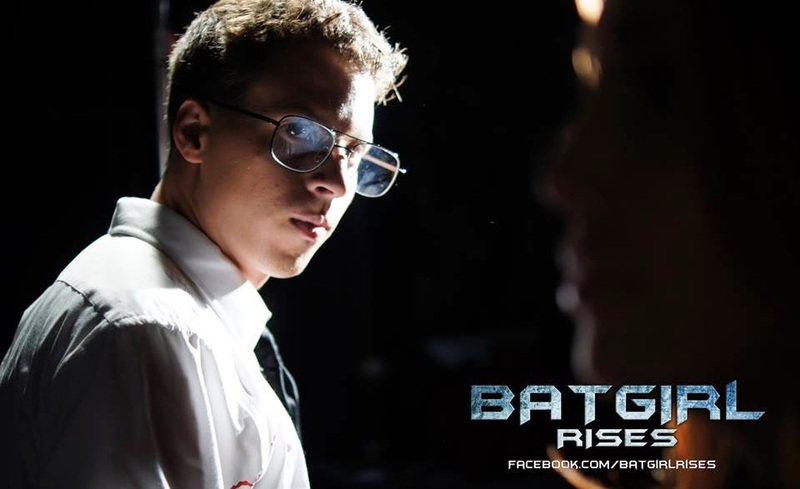 And I'd like you to help me break a friend of mine out of Arkham Asylum'. As a love affair isn't what it seems - a title sequence is all glitters and gleams - a missing brother suddenly shows his face - and at the end of the day, another femme fatale gives good grace. Now as a rule I don't normally review independent films. On the whole I find some of them to be rather lacklustre productions. Not usually worth the time or the effort due to their uninspiring quality. 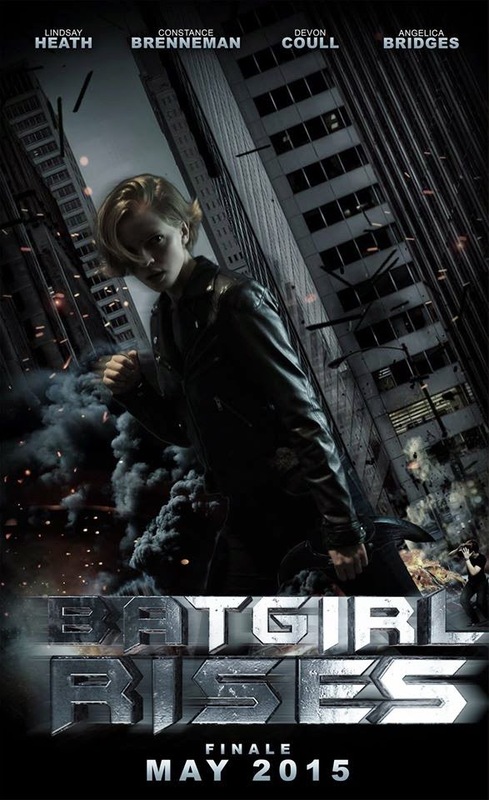 However, after I spoke to the director of 'Batgirl Rises', Vincent Tran, I decided to change my mind because in this instance it's a story first and a mission-statement second. You see, according to Vincent, the people behind this movie are trying to show comic and movie lovers that female characters can really entertain audiences intellectually. And I personally felt they were able to do this by setting up a premise which managed to sum this notion up rather nicely. So please don't go watching this promo -- and yes, it is a promo, only 23 minutes long -- expecting to see a lavish bunch of colourful characters fighting over a bag of loot. Instead, this is a short tale about two women who come together and find out they have one thing in common. Lost love. In the case of Barbra: The loss of her missing brother. And in the case of Harley: The loss of her one time mentor and muse. Also, another thing I noticed about this film is that in part it came across more of a staged production, and I put this down to a large chunk of the narrative being about two women talking about their 'beginnings'. In some way this two person dialogue aided the intimacy of this piece, by throwing away unneeded paraphernalia in favor of character building and plot. What's more, I couldn't help but applaud the casting of this movie too. 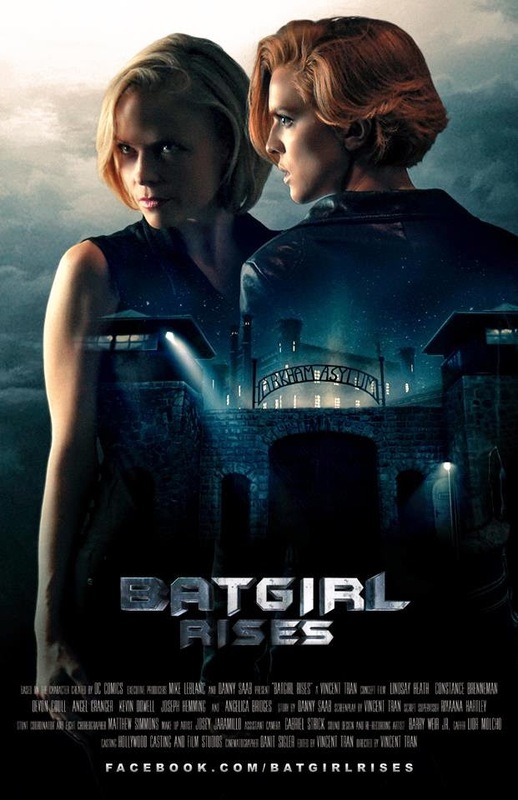 With Lindsay playing Barbra Gordon as she was once depicted in the eighties -- as a lost soul trying to find her place in the world -- where as Constance played Harleen with a more stoic and mysterious edge -- and nothing like her comic book counterpart. Now on the flip side of things there were two aspects I wasn't too keen on. Firstly, I felt that the Jim Gordon character -- even though he was never seen -- should have been better defined within the discourse of this two person discussion. Whilst the other thing I slightly frowned upon was those two action scene's it had on offer. No. Not because of their inclusion. But because I watch a lot of Honk Kong cinema and could tell how this sequence was edited together! Anyway. By now I'm sure you can tell what I thought about this independent flick. I thought it was a good flick overall, and I would like to see where its concept is heading in the future. Just like you might too when you next check out the following filmic facts! (1) This independent film had its premiere on the exact same day the new Star Wars title was revealed. It was on the 6th of November, 2014. (2) If you think you've seen Constance Brenneman before, then that's most probably because you've seen her on such TV shows as 'Alias', 'The Practice', and 'Those Who Kill'. (3) Lindsay Heath has only been a jobbing actress since 2013, and during that time she starred in such filmic shorts as 'The Decisive Moment', 'Draw a Dream', and 'Duplex'. (4) Riyaana Hartley and Vincent Tran wrote and directed this picture, as well as starred as un-credited extras on two other films. Riyanna appeared in Bille Woodruff's 'Honey 2', where as Vincent appeared in an episode of 'Glee'. (5) Angelica Bridges was once a singer at Universal Studios, Orlando, Florida, and it was here where she was discovered by the president of the 'Elite model agency'. (6) Just like Constance Brenneman, Devon Coull also made appearances in a number of television shows, including 'Twinzies: Couples Therapy', and 'Mob City'. Now before I bugger of to God knows where I want you to know how many versions of Batgirl there have been (just in case you might think this one wasn't playing fair). For a start there was the niece of Batwoman's Kathy Kane -- called Betty Kane -- and she first graced the pages of Batman in issue 139, 1961. Next up was the girl we all know and love, Jim Gordon's niece, Barbra Gordon, and her comic book debut was in Detective Comics #359, 1967. After her came the crime fighter, Helena Bertinelli -- also known as the Huntress -- who donned the Batgirl mantel for a short while during the 'No Man's Land' saga. Then came my second favourite Batgirl, Cassandra Cain -- the daughter of David Cain and Lady Shiva -- and she first slipped into this guise in Batman #567, 1999. And finally there was the cute daughter of the Cluemaster, Stephanie Brown, who first played vigilante in Batgirl #1, 2009. 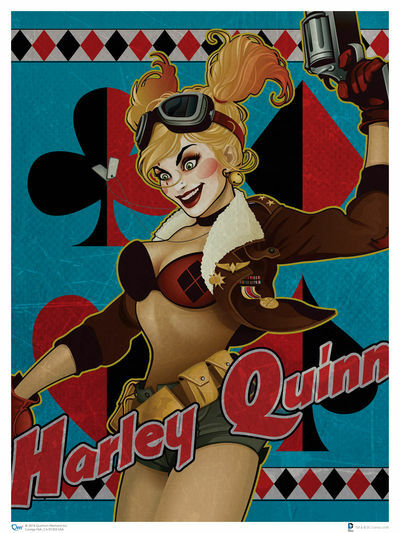 In a similar vein to the Batgirl character, there have also been a number of Harley Quinn's as well (Usually spelt 'Harlequin'). Now the first lady to wear this mantel was Green Lantern Alan Scott's eventual wife, Molly Mayne, who made her debut in All-American Comics, #89, 1947. Then there was Duela Dent, supposedly the Jokers Daughter, who first butted heads with Batgirl and Robin in Batman Family #6, 1976. After her there was Marcie Cooper -- the Granddaughter of Dan Richard's Manhunter -- and she made her first appearance in Infinity, Inc. #14, 1985. And last but not least there's our Harley Quinn. Who, of course, first made her screen splash in 'The Batman Animated Series'! Meanwhile, back to the review, let me just sum up by thanking Vincent, Lindsay, and Constance for sparing the time for me to interview them previously. 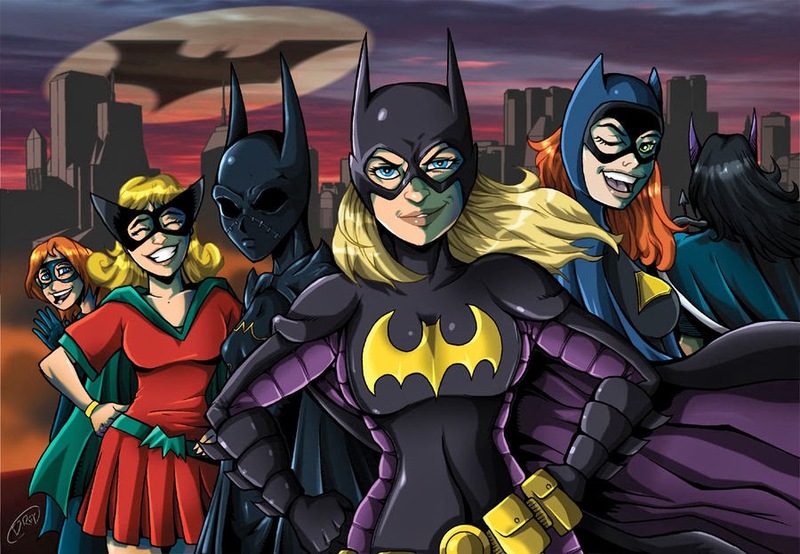 And on that note, dear reader, please allow me to also encourage you to check out 'Batgirl Rises' when you can. Trust me. It's a pretty decent film.